Expositions were a valuable publicity outlet for products in the 1800s. Fortunately for all, the unusual granite home of the Willimantic Linen Company has largely been preserved, although as can be seen in the Google shots below some buildings have been torn down. Several buildings occupy space now used for parking in this 1991 Google Earth view. Mill #4 appears across the river from the main plant. By 2002, this Google Earth shot shows the absence of some of the buildings that were present a decade earlier. of this view is the scar left by Mill #4 which burned to the ground in the mid-1990s. 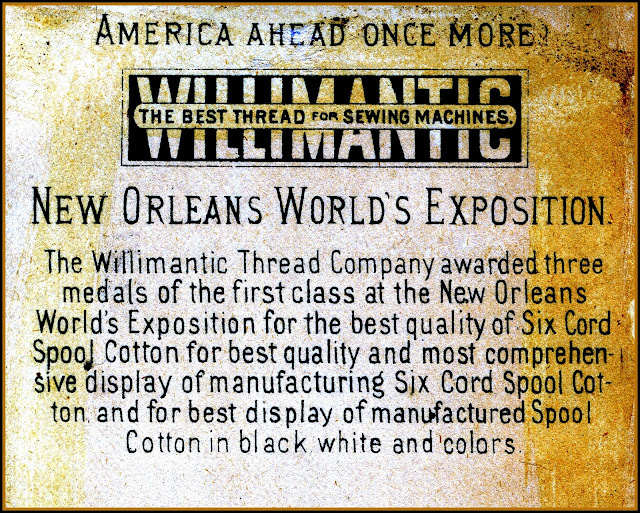 The State of Connecticut Department of Transportation has an excellent site on the history of Willimantic and its multiple thread manufacturing enterprises. So, too, does Textile History. "Willimantic Linen Company began work on Mill No. 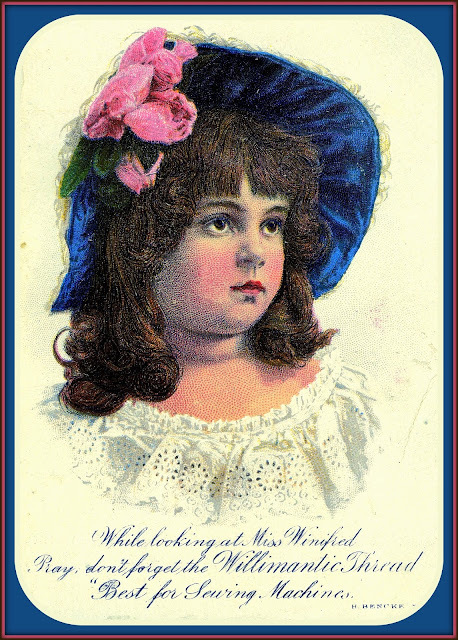 5 shortly before selling out to American Thread Company in 1898. American Thread completed the mill c1900-03 as the one of several brick-pier factories. Part of the power used in Mill No. 5 came from hydropower facilities installed at this time in Mill No. 1 (HAER No. CT-44-A). Although not an individually significant structure, Mill No. 5 has significance as part of the American Thread Company complex, once the largest local employer in the Borough of Willimantic." it has taken a great deal of community support to preserve this history.